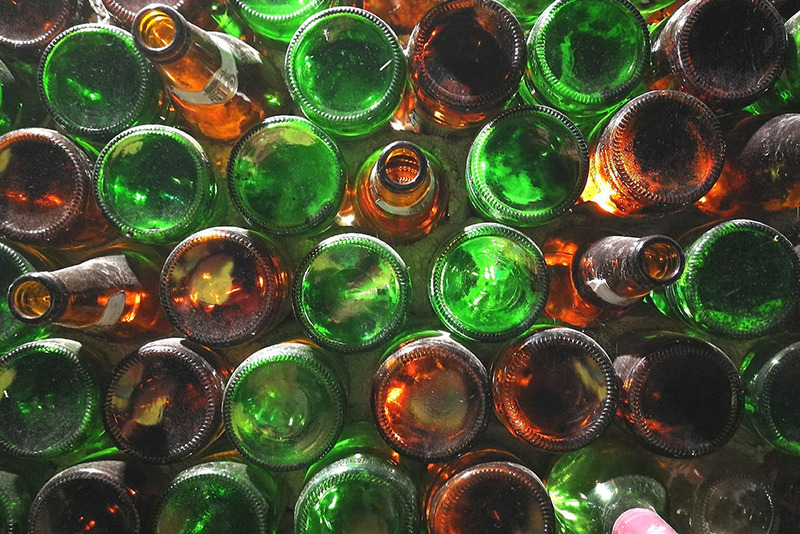 The Northeast Recycling Council (NERC) recently released results of the glass survey in the 11-state NERC region. The survey, conducted February 2017 through June 2018, elicited responses from 45 MRFs. It looked at a variety of factors, including collection methods, glass cleanup approaches and downstream markets. Among a number of takeaways, it showed the material leaving MRFs is full of contamination (called non-glass residue in the report) and fines, which can’t be later sorted by color for sale into the bottle market. The survey also asked MRFs about their main concerns regarding the material. “From the perspective of the MRFs, the primary issues with recycled glass are wear and tear on equipment, lack of markets, contamination and cost,” the report states. Digging deeper into regional end markets, the report notes glass bottle manufacturer Ardagh Group closed a factory in Massachusetts earlier this year, precipitating the closure of Strategic Materials beneficiation plants in Massachusetts and Rhode Island. On the upside, a company called Pace Glass is building a major glass sorting and clean-up facility in New Jersey. The NERC survey found that 54 percent of the tons reported by survey participants were sent to glass beneficiation plants, where the stream was sorted and cleaned up for sale into end markets. Another 38 percent of the handled glass tons ended up at the landfill as garbage, alternative daily cover, or road base aggregate or fill. About 8 percent was used as aggregate. Researchers also looked closer at the MRFs generating the cleanest glass streams. “The MRFs with the lowest percentage of total (non-glass residue) and fines were the facilities that took in source-separated materials, dual-stream materials, or had made recent investments in glass-cleaning equipment,” according to the report, which was written by Mary Ann Remolador, assistant director of NERC. The survey report was the second in recent months focused on glass. In June, the Glass Recycling Coalition released the results of its nationwide survey, which also touched on the handling of glass at MRFs. Glass will be the topic of a session this afternoon at the Resource Recycling Conference in St. Louis. The session, titled “In the Stream … and on the Rise?” will include Jim Nordmeyer of bottle maker Owens-Illinois (O-I), George Valiotis of Pace Glass and Laura Hennemann of Strategic Materials. It will be moderated by Nina Goodrich of GreenBlue and the Sustainable Packaging Coalition.